I think it's a perfect stamp. Cue the Pharrell Williams Song…. 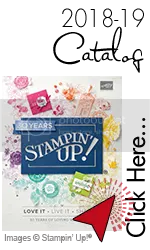 This stamp comes from the Free Sale-A-Bration set-See Ya Later. Hurry, you have 11 days left to get in on this fun set for free, and then it's gone. That's not a happy thing! Ok, Day Three of my Ideas, don't forget to make a comment. 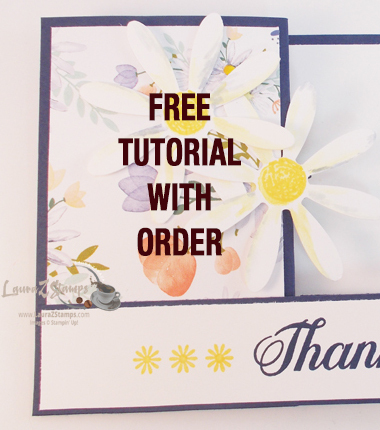 See here about Free Blog Candy! This idea, again a share on Stampin' Connection but I added my own touches. I have two samples-but don't worry-A quick post for you today. Here I used the Crushed Curry ink pad and then swiped off the yellow on the rain cloud with a blender pen. Then I added a Smoky Gray Marker to the cloud and rain drops, added Hot Moist air to it and then stamped it. Sponged a few clouds with a bit of Smoky Gray and plopped the clouds all over. I did add a few Dimensionals to a couple to pop them up. I like the end result. Create something fun today. Even if it's a doodle on paper! Great card. I love how you inked the clouds. I loved the scissors idea. Cool card Laura. Now I know where at least one of the pairs of fringe scissors ended up. I’ll be so happy when they come off backorder. 😀 Love how they added a fun element to your project. Love the Crushed Curry color too! I’m still trying to figure out what color Smokey Slate doesn’t go with. Love that new color.